LUXURY, SPACE, & PANORAMIC VIEWS OF GETTYVUE'S LUSH 8TH FAIRWAY!!! Handsome Entry Hall, Soaring Great Room w/ Deck access, fully appointed Chef's Kitchen w/ large ''Gather-Around'' Service Island, adj. Keeping Rm. & B/fast Rm., Formal Dining Rm., ''jaw-dropping'' Main Level Master Suite w/ Fireplace/Sitting Rm. 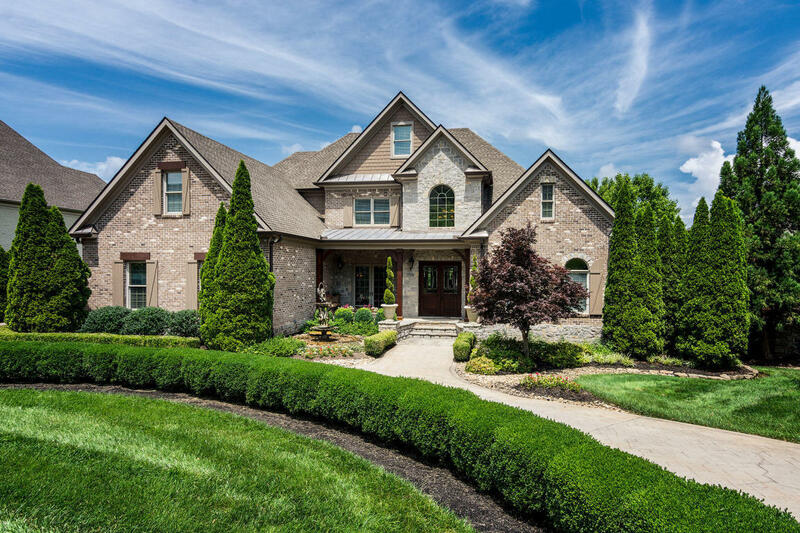 w/Fairway and private marsh views/ Colossal Master Bath/2 story Master Closet and more. Three 2nd Floor Bedrooms (each w/ Service Baths). 2 of the Bdrms. have their own Bonus Room Access (one is spiral staircase-accessed Private Loft!) + there's even a 3rd Bonus Rm/Office! Lower level offers large Family Rm. w/ custom Bar/Guest Suite/ Covered Patio/ and 2 cavernous Storage Rms. Deck/Patio/Pristine 3 Car garage. Loaded with ''Bells & Whistles''...and ''Timeless Appeal''. Bedroom 3 Dimensions: 13.9 X 13. Bedroom 5 Dimensions: 14.9 X 11.